Vanesa Del Rey returns for Scarlet Witch issue #15 on February 22, Del Rey is the artist who launched the solo series back in 2015. From the beginning writer James Robinson had planned to mix up the artists attached to the Wanda Maximoff comic title on a regular basis. The other contributing artists include Marco Rudy, Steve Dillon, Marguerite Sauvage and Annie Wu. In Scarlet Witch issue #15 after saving witchcraft from the Aimless Ones and Interdimensional Demons, Wanda needs to figure out what to do with the rest of her life, which is much more complicated! But first she must face a witch demon who possess a young boy with a bloodline connections to ancient witches, and travel from modern day New York to 1950s Cuba. 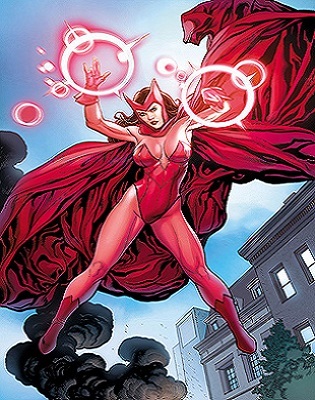 Scarlet Witch was originally introduced by Stan Lee and Jack Kirby as a member of the Brotherhood of Evil Mutants in Uncanny X-Men #4. Scarlet Witch and her brother Quicksilver would eventually join a heroes team in Avengers #16. In another storyline decades later, her teammates were defeated at her hands during the “Avengers Disassembled” series. More recently Scarlet Witch discovered the Magneto may not be her father after all and was seen in cahoots with Dr. Strange to overcome Empirikul and his cult who wanted to remove magic from every dimension. Scarlet Witch issue #15 will be released by Marvel Comics on February 22nd. The cover artist is David Aja.